Industrial grade, all steel work light. Articulated arm. 6in. diameter precision crafted, corrosion resistant aluminum ventilated shade directs light over a large work area. Heavy-gauge hand-spun shade with white enamel internal reflector optimizes light output and helps to keep shade cooler. 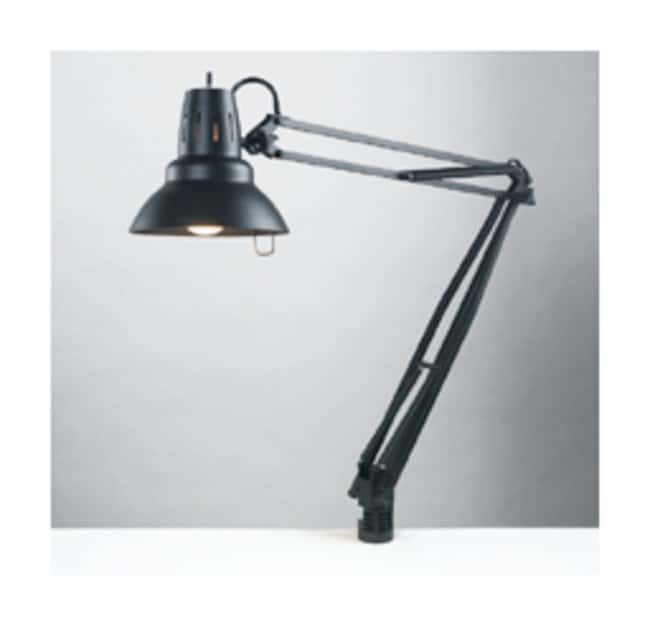 Ruggedly built spring suspension arm adjusts to direct light where needed and maintain desired position. Swivel socket clamp base mounts onto surfaces up to 2 3/4in. thick. 6 ft. polarized plug and cord. Length (Metric) Arm Reach 45in.